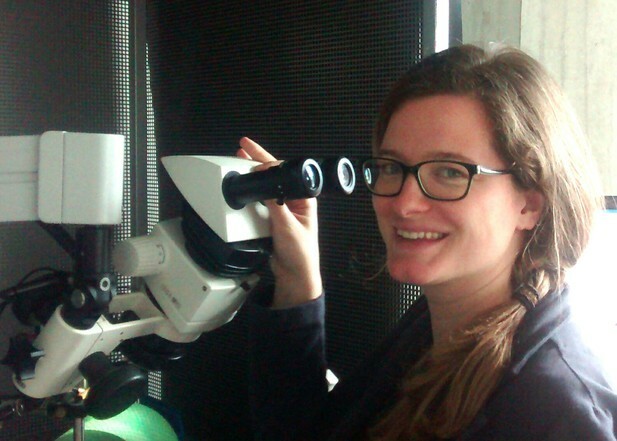 Katja Kornysheva is a Sir Henry Wellcome Postdoctoral Fellow at the Institute of Cognitive Neuroscience, University College London and the Department of Neuroscience, University Erasmus Medical Centre. Katja Kornysheva in the Lab. Image CCBY 3.0 Katja Kornysheva. Kornysheva is now a Sir Henry Wellcome Postdoctoral Fellow at the Institute of Cognitive Neuroscience, University College London and the Department of Neuroscience, University Erasmus Medical Centre. Here, she focuses on how different brain regions and individual cells within the brain constitute a new motor memory – the type of memory that allows us to teach our muscles to repeat movements or techniques over and over. “At the moment I’m fascinated by the idea that the brain can form a memory of something as complex and precisely timed as a sequence of muscle activation,” she explained. 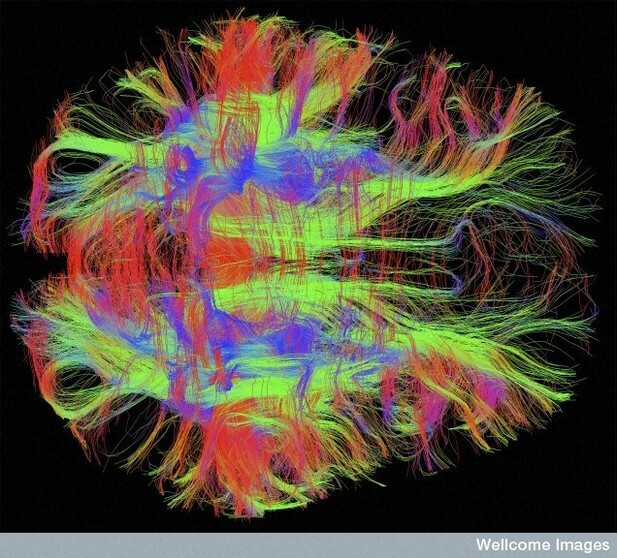 Nerve fibres in a healthy adult human brain. Image Credit: Zeynep M. Saygin, McGovern Institute, MIT, Wellcome Images CC BY-NC-ND 2.0. One possibility lies with patients suffering from ataxia, a condition resulting from damage to the cerebellum caused during a stroke or by neural degeneration. In these patients the motor learning that controls the precise movement of the vocal apparatus is lost. This loss results in so called ‘scanning speech’, where words are broken into separate muscle activations without precisely coordinated movement and timing, inevitably making communication very difficult. Kornysheva hopes that, in the next 10 years or so, it may be possible to develop much better ways to help people who have lost their motor skills regain these abilities. “In a way it might sound a little bit crazy – an idea that you might see in science fiction films, but it’s all about the ability to imprint certain motor memories into an existing neural network.” In other words, patients could regain the skills that they had lost by direct intervention with the cells responsible for motor memory, without having to go through the process of re-learning them. By Jennifer Mitchell, Communications Assistant, eLife.